If you are using an Android phone and you have unlimited internet on your phone, you would wish to use that data on your PC, right? Well, American careers like Sprint, Verizon or T-Mobile don’t want you to use their data plan on devices other than your phone. That is why they block the option of Wi-Fi Hotspot even though Android has this feature. There are some apps like FoxFi and PDANet+ that allow you to bypass that block, but they require you to pay for their premium app such as FoxFi Key App. Wouldn’t it be nice to have the FoxFi Key APK downloaded for free? Today I will show you how you can get FoxFi Key APK for free without needing to pay. And if the app doesn’t work for you, I will list some of the other alternatives for the same purpose. FoxFi Key is an app that works as a key to unlock unlimited usage of their free app called PDANet+. It works like this. You download and install PDANet+ app on your Android phone from the Play Store, You use it for a while and then it stops working. The only way for you to use PDANet+ Wi-Fi HotSpot again is by buying their FoxFi Key APK. We think this is a very unethical way of traping users and making them buy your app. Don’t get me wrong; I am all for it when you have a piece of software, and you sell that program at whatever price. But FoxFi should not be doing in this way where the user will find himself trapped. 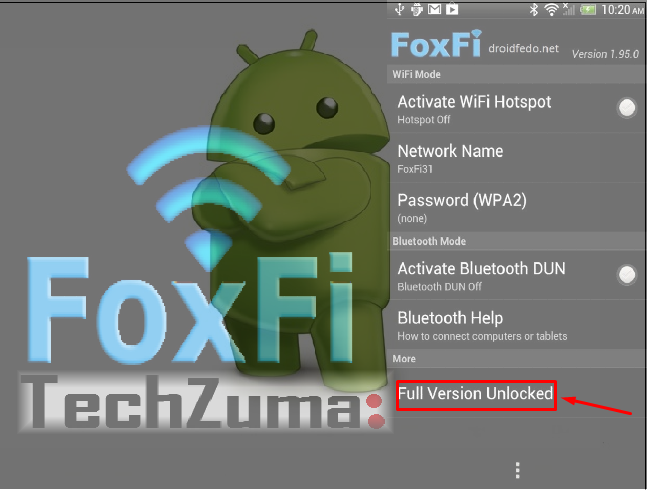 If you are here only to download the paid version of FoxFi Key APK and unlock unlimited wi-fi hotspot feature, feel free to use this download link for FoxFi Key APK. Some people misunderstand features of this app and think that it is some sorts of a hacking app. I thought why not make a separate section to clear some misconceptions. Let’s see what FoxFi Key APK does and what it does not. If you have installed FoxFi or PDANet+ app on your phone and the WiFi hotspot is not working, the FoxFi Key will not fix this issue. The free version of the app is there for you to make sure it works on your phone. If you have the unlimited data plan on your Android phone, only then you should use the WiFi hotspot. This app does not give you unlimited data for free. It only enables the WiFi hotspot feature so you can share your mobile data with others. If your data pack is limited, it will stay limited. With every Android update and every new device, the careers try to stop the WiFi hotspot feature, and that is what makes this a very inconsistent solution. You simply can not use one app to unlock all phones, just like one key doesn’t unlock every lock. First, you should install PDANet+ from Play store and if it works for you then Download the FoxFi Key APK. How to use FoxFi Key APK? The app works automatically. All you have to do is install the PDANet+ or FoxFi app from Google Play Store and then try it on your phone. Once you are sure that it is working for you, follow the installation instructions given below to unlock unlimited wifi hotspot. If you have installed any apk file on your Android phone in the past, you will know what to do. But for those of you who are not very tech savvy, here is step by step instructions for you. Download the APK file on your phone from the link given above. Open play store and search for PDANet+ or FoxFi and install it. Now open the FoxFi or PDANet+ app and make sure it works on your phone. Only proceed if it works. Next, you will need to close the PDANet+ or FoxFi app from your phone and install the FoxFi Key APK. 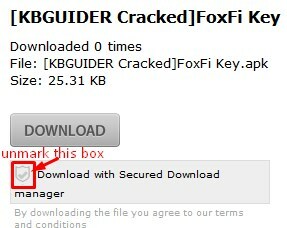 Simply enable this feature and go back to the Downloads where you will find the FoxFi Key APK. Step 1: After installing on both Android or phone and Windows or computer. 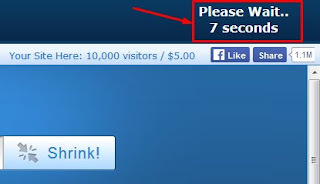 Step 2: Go to this Web Page and wait for 10seconds click on “Skip” as shown below. Step 3: You will be redirected to Datafilehost.com/link, make sure You unmarke => Download with Secured Download manager. Click on download botton see pictures below. Step 4: Now install the downloaded app in your Android device. After installing the app, simply launch it and it will automatically detect the PdaNet app on your phone and open it through the app thereby unlocking it. check the status of the app as shown below. Download and Install FoxFi Full Version? Requires Android : 2.2 and higher. That is it for this quick tutorial on how to get unlimited WiFi hotspot for free using FoxFi Key APK. Android tethering and hotspot most times refuses to allow other devices to access and share your free internet data connection, most time will really want to use our data connection directly from our mobile phone with out stressing our self with configuring our pc or other device this happens most when you have successfully running any of the tweaks or free browsing cheats on your android or other phones. At the end, I want to remind you again, don’t think this app will give you unlimited data. You will have to pay unlimited data pack; this app only gives you unlimited WiFi hotspot. You will still be charged for the data if you don’t have an unlimited plan. thanks for sharing this best and helpful post for me and all FoxFi Key Pro apk app user's. there is all lines are totally right and very helping to me. now i am done install app on my device with your article help. thanks i am waiting your next helpful article.